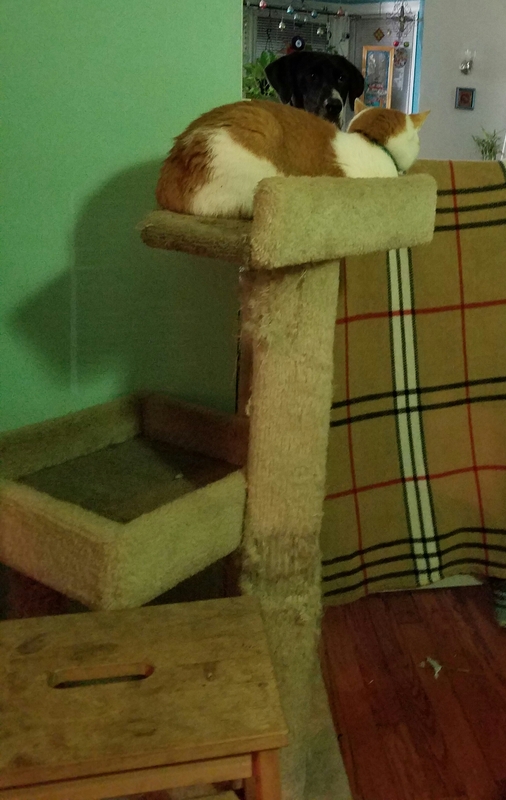 Is your Woofie brother taller than your tallest Cat tree? 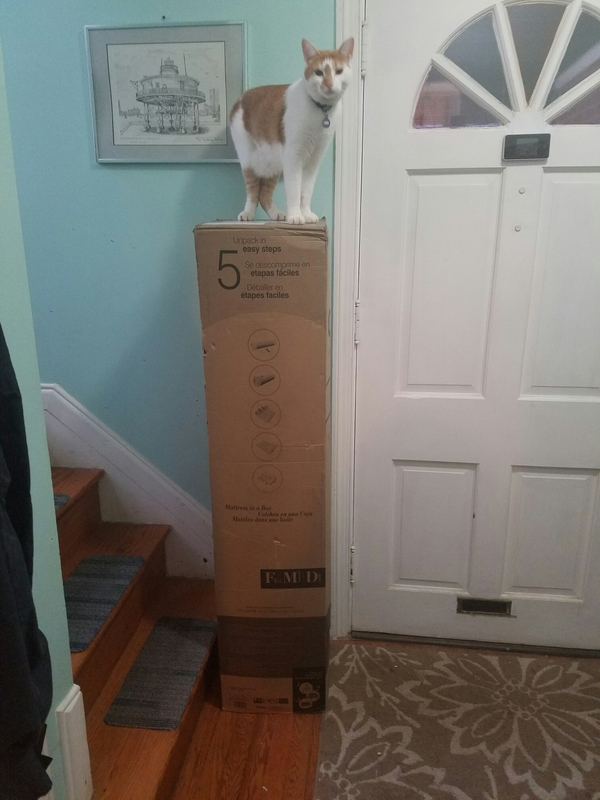 Time to access your Humans’ Amazon Prime account to procure a Cat tree at least twice as tall. Height isn’t determined by genetics. How tall you are depends on how high you can jump. Is your puppy getting alarmingly tall? 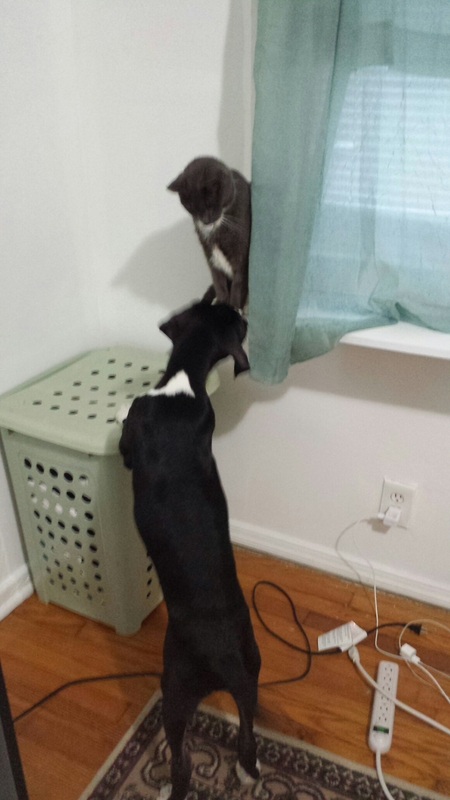 Don’t worry–so long as you can jump to higher spots than your puppy can reach, all is well.